Lenovo has been busy in recent weeks, spending more than $5 billion on two purchases. Lenovo shares plummeted more than 16% on Tuesday in Hong Kong trading as investors expressed displeasure with the company's recent shopping spree. The Chinese tech company's shares have now lost 23% in the two sessions since the company announced it was paying Google (GOOG) $2.9 billion for Motorola Mobility. It was the second big purchase of the year for Lenovo (LNVGY). Earlier in January, the company shelled out $2.3 billion for IBM's (IBM) low-end x86 server business. Both deals require regulatory approval, including from the Committee on Foreign Investment in the U.S., which reviews purchases of U.S. companies to make sure they don't undermine national security. The acquisitions will fuel Lenovo's expansion into areas beyond the PC business, but they could also mean a decline in profits in the short term as the company goes up against the tech industry's biggest players. Investors appear to be uncomfortable with the company's evolving strategy, which carries significant risk. In the intensely competitive smartphone sector, for example, Lenovo will be trying to steal market share from Samsung and Apple (AAPL). That won't be easy. Still, Lenovo CEO Yuanqing Yang has expressed confidence, telling Fortune last week that his company's mission is to surpass its bigger rivals. 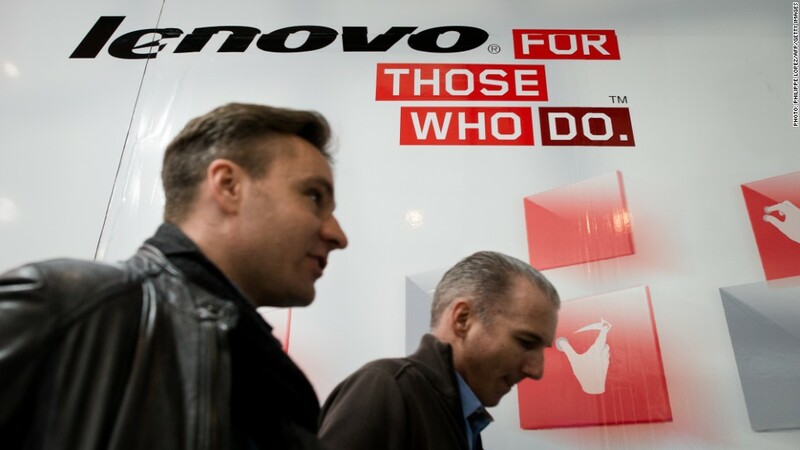 In Motorola, Lenovo gets a brand that is one of the most respected in the business. The company is also strong where Lenovo is weak -- in western markets and especially the United States. Motorola's engineers should also help Lenovo improve its lackluster smartphone designs. Lenovo shares were among the most heavily traded in Hong Kong as investors returned from a holiday break. The company was also the worst performer on the Hang Seng index. The battering was likely made worse by speculation that Lenovo was preparing to announce yet another major move -- this time a joint PC business venture with Sony. Sony brushed those rumors aside in a statement, saying that press reports on a possible alliance between Sony and Lenovo were inaccurate. A Lenovo spokeswoman said the company does not comment on speculation.